Charlie Wiggins was born in 1897 in Evansville, Indiana. He spent his youth shining shoes on in front of a car repair shop. Eventually he was given a job in the garage. He eventually became an apprentice. In 1917, he became chief mechanic. After moving to Indianapolis in 1922, Wiggins started his own garage and began building his own racecar with salvaged junkyard parts. He wanted to race in the Indianapolis 500 in the car he dubbed “the Wiggins Special,” but the color of his skin made him ineligible to compete. Wiggins and other African-American drivers decided to form their own racing league, “Gold and Glory Sweepstakes”, an annual 100-mile race for black drivers on a one-mile dirt track at the Indiana State Fairgrounds. The first race, in 1924, drew a crowd of 12,000 and was the largest sporting event held for African Americans up to that point. Over the next 10 years, Wiggins would win three Gold and Glory Sweepstake championships. His notoriety as a mechanic and racer and his bold actions against segregation in auto racing caused the KKK to target him. During the 1936 running of the Gold and Glory Sweepstakes, Wiggins lost a leg in a 13-car crash. He made himself a wooden leg and for the next 40 years continued to build and repair built cars while training other drivers and mechanics. He also continued to advocate for African-American participation in motor racing until his death in Indianapolis in 1979 at the age of 82. Born into slavery on a West Virginia plantation in April 1833, C.R. Patterson escaped to Ohio in 1862. Patterson obtained employment as a blacksmith for the Greenfield carriage-building business Dines and Simpson. Patterson eventually partnered with J.P. Lowe, a local carriage manufacturer who happened to be white. When Lowe died, Patterson took over the business and renamed it the “C.R. Patterson & Sons Company.” Patterson sold 28 types of horse-drawn vehicles and employed over a dozen workers. Before his death in 1910, he experimented with the manufacture of gas-powered “horseless carriages.” The C.R. Patterson Auto Company is believed to be the first and only African American owned and founded auto company. Patterson’s son, Frederick, transitioned the company over to auto manufacturing with the development and debut of the Patterson-Greenfield car in 1915. Selling price was $850. It featured a four-cylinder Continental engine and was comparable to the contemporary Ford Model T. Estimates of the Patterson-Greenfield car production vary. It is likely that no more than 150 vehicles were built. Unable to compete with Ford’s manufacturing capability, C.R. Patterson & Sons began production of truck, bus and other utility vehicle bodies installed on chassis from major auto manufacturers such as Ford and General Motors. The company’s school bus bodies became sought after as Midwestern school districts began to move from horse-drawn to internal-combustion-fired transportation by 1920. Around 1920, the company reorganized as the Greenfield Bus Body Company but the Great Depression resulted in the decline of the company. The company closed its doors in 1939. While no Patterson-Greenfield automobiles are known to have survived, rare examples of C.R. Patterson & Sons carriages and buggies can still be found in museums across the Midwest. Rev. Albert B. Cleage 1911-2000 (later changed his name to Jaramogi Abebe Agyeman) was a theologian, nationalist, civil rights leader and father. 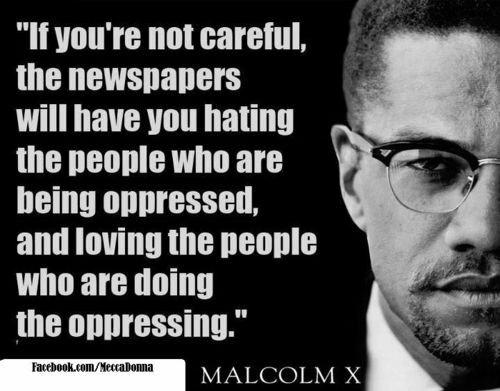 He was a major influence on Detroit politics and black nationalism. He established the Central United Church of Christ in Detroit in 1956. Cleage had become disenchanted with the white hierarchy of his denomination. Though he had served in integrated church settings; it seemed disheartening to him because he felt that he continued to witness racism and unfair treatment. In 1970, shortly after the unveiling of an 18-foot painting of a Black Madonna in his church, the name was changed to Shrine of the Black Madonna and the Pan African Orthodox Christian Church denomination was created. The church also maintained the Shrine of The Black Madonna Cultural Center. It was a hub of progressive, African-centered, religious, cultural and political activity. He contended, that Christ and many of his disciples were African in origin and suggested that Europeans had captured and twisted Christianity to assist in their enslaving Africans. He argued strongly for African American control of their own fate. Cleage did not believe in integration for blacks. He felt that it was important for blacks to obtain and maintain an economic, political, and social environment independently. He founded the City-wide Citizens Action Committee to support black businesses. He also promoted the education of black children by black teachers. 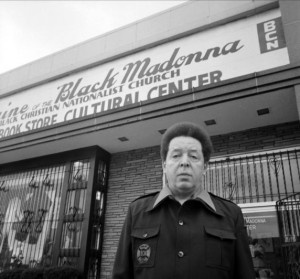 Growing up in Detroit, The Shrine Of The Black Madonna Cultural Center was an icon in Black community. But I was not fully aware of its origins or impact. I’m wondering if any of the Black Mail blog readers are familiar with Albert Cleage? Left to right: Walter Reuther, Benjamin McFall, James Del Rio, Dr. Martin Luther King, Jr., and Rev. C.L. Franklin. Behind Franklin is Detroit Mayor Jerome Cavanagh. Two months before the “March On Washington” was held, there was The “Walk To Freedom” on June 23, 1963. 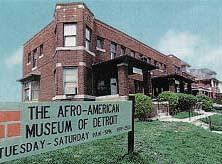 Held in Detroit, it was the largest ever civil rights demonstration in the country at the time. 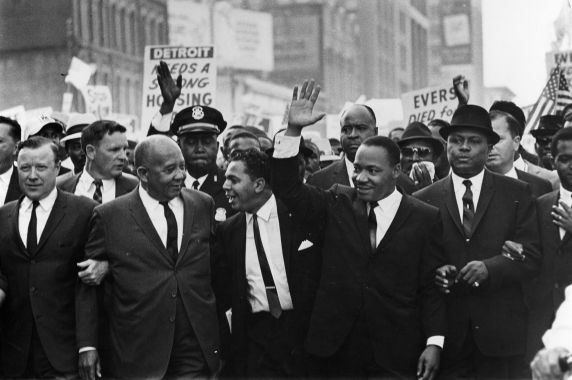 It was estimated that approximately 125,000 people marched down Woodward Avenue in Detroit. It was also the first time that Dr. Martin Luther King, Jr. delivered his famous, “I Have A Dream Speech”. National and state leaders who marched along with Reverend King included United Auto Workers president Walter Reuther, former Michigan governor John B. Swainson, and Detroit mayor Jerome Cavanagh. 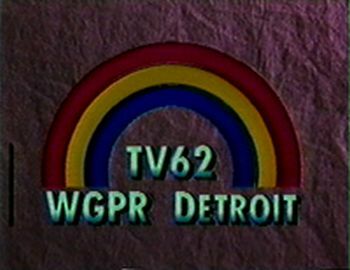 WGPR/Channel 62 – 1st African American Owned TV Station In The U.S. 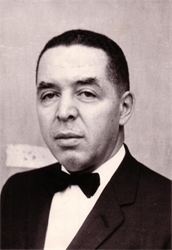 In 1961, Dr. William V. Banks, took a lead role when the International Free and Accepted Modern Masons bought WQTI 107.5 and renamed it WGPR. He changed the format to R & B, gospel and soul music to make it more appealing to African American Detroiters. In 1975, he would do the same thing in the television industry by launching Channel 62. Bank’s purchase made WGPR the first television station ever to be wholly owned by African Americans. The station created an opportunity for African-Americans in front of and behind the cameras. At that time not only were there no black-owned television stations, but there weren’t a lot of black people working in television. One TV-62’s signature shows was, “The Scene”; a dance show featuring African Americans. “The Scene was on air from 1975-1987”. In 1995, WGPR-TV was sold to CBS. CBS changed the tv station name to WWJ-TV and targeted its programming for a general audience. Born in 1928, Geraldine Bledsoe-Ford was the first African-American to be elected as a judge in the United States. She was born and raised in Detroit, Michigan. In 1966, she scored a surprising upset victory to become a judge on the Detroit Recorders Court. Ford’s qualifications swept the election and she led the ticket repeatedly for the following 33 years. After a court reorganization, she served another year as a Circuit Court Judge, before retiring in 1999. 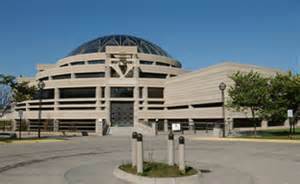 She spent much of her career hearing criminal cases. On the bench she was known as “Mean Geraldine” to unprepared attorneys and those to whom she issued tough prison sentences. However, Judge Ford also had a softer side; serving as a mentor to many aspiring lawyers. Her daughter, Deborah Geraldine Bledsoe-Ford also served as a judge in Detroit as well. Geraldine Bledsoe-Ford died in 2003. I love thought provoking quotes! So I really enjoyed this quiz! 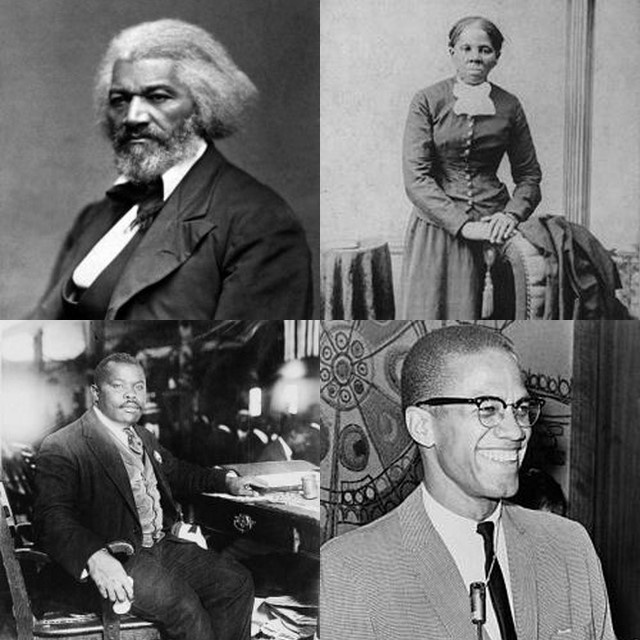 Test your knowledge to see how you do identifying which civil rights icon was the first to utter some of the quotes that are now famous today!